Shivanasamudra Falls is the favourite of Bangaloreans when it comes to a weekend go away. This fall is located in the Mandya district, which is at the bank of the river Kaveri. The Shivanasamudra incorporates two waterfalls, named Gaganachukki and Bharachukki, each at a distance of 1 km. On this day trip, you can even explore the whitewater sand beach which is again at the bank of the river Kaveri. We have been there currently (15 July 2018). At present, the fall is at its peak. If planning for a weekend trip, don’t miss this natural beauty of the monsoon. We left home by 9 am on a cloudy Saturday morning and reached Gaganachukki falls by 12 pm. Since we moved late, we had our breakfast at home, but certainly you will find many good food options on the Nice Road. So just hit the road at your comfortable time. On the way to this fall, you will drive along the river Kaveri. This is an experience in itself. Drive towards the fall is very interesting and scenic. As you reach the fall, move ahead to get a view of a magnificent fall which is at its peak now. It gives a spectacular view. The government has prohibited anyone from going down to the fall as because of many accidents happened earlier. Do not dare to go down as rocks are slippery and it is said that the water there forms a whirlpool and it has the power to take lives. Beware of monkeys there. Don’t carry eateries in hand. You will find some stalls outside selling murmura bhel and corn. A hotel named Mayura is run by the state tourism department, which is placed near the fall, in case you want to have lunch. (There was a long queue when we went so we did not eat there. Seen waiters serving rasam/sambar and rice. I am unsure if they offer north Indian food. The place is not very impressive.) I would suggest you to pack your food, and beverages, sit in the garden outside this hotel and eat there. This is another beautiful waterfall, and it is 15 minutes drive from gaganachukki. Enjoy the fall for some time and can leave for the next destination. This is 45 minutes drive from Bharachukki falls. The route is beautifully covered with trees on both the sides. We stopped there in between to enjoy nature. The climate was very supportive so we rolled down the window glasses of our car and enjoyed nature. Talakadu was not up to our expectation as water was overflowing covering the white sandy beach. We were forced to stand at the outer side of the water near the stalls. Locals say this scene is because of the monsoons. 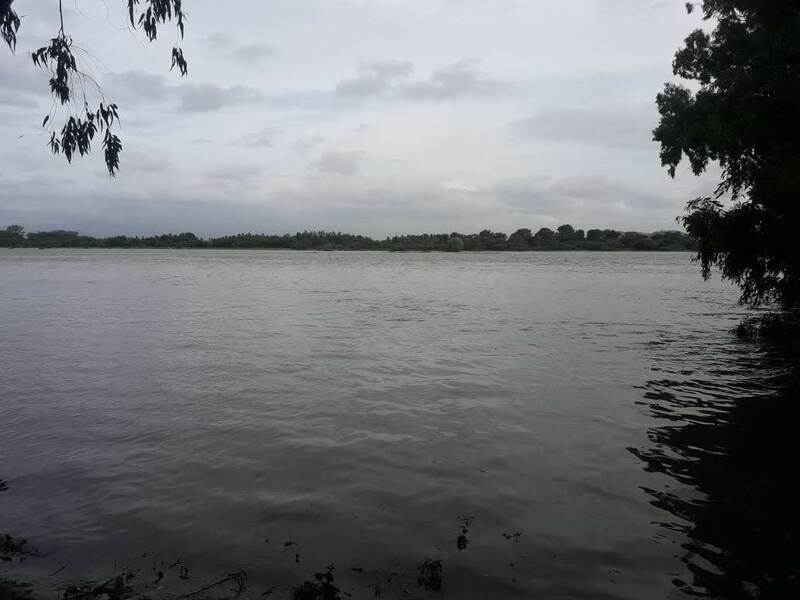 You can enjoy the water on the Kaveri riverside. Bamboo boats are there to take you for a ride but beware they are unlicensed, nor do they provide any life jackets so if you’re going on a ride, they take you on your own risk. They asked rupees 50 per person to take a round of the river. There are two resorts nearby, but they did not allow us to take dinner stating they serve only to those who stay in their resorts. You can enjoy chat, corn, tea and coffee at the riverside. Take an extra pair of clothes in case you wet yourself in the water. From Talakadu, we returned directly to Bangalore. We had our dinner at the Kamad restaurant, Mandya which was on the way to Bangalore. They served delicious hot South Indian thali. 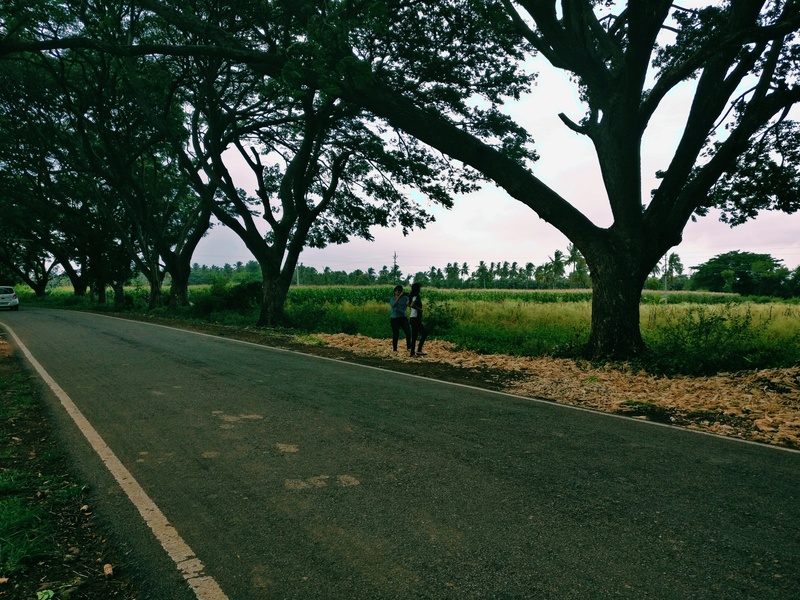 Start early from Bangalore to enjoy all the spots and enjoy the beauty. Pack enough food and beverages as not many options once you reach Gaganachukki. Take umbrellas and raincoats if it’s a monsoon season. There are some temples around Talakadu if you have a religious instinct. 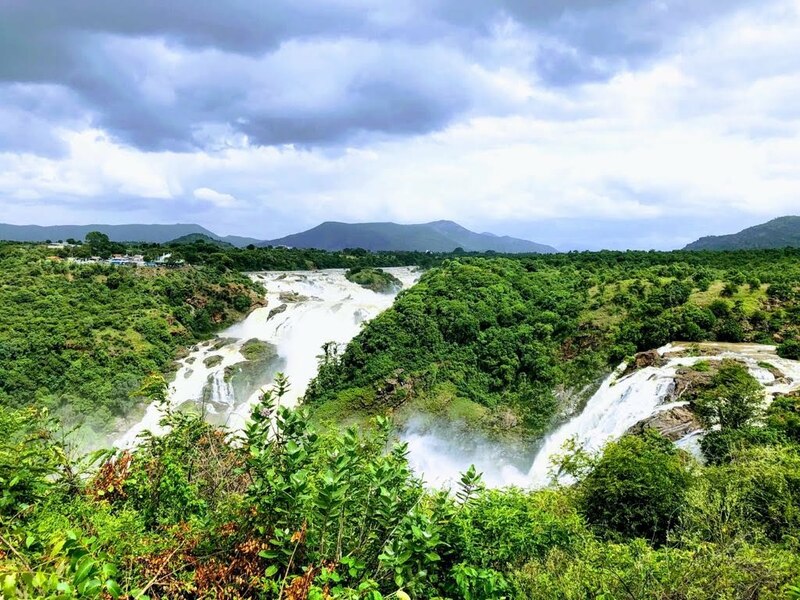 This entry was posted in Travellers Review and tagged Monsoon weekend trip near bangalore, Shivanasamudra falls one day trip by ranubhatt. Bookmark the permalink. Next → Next post: Two little rabbits.